Big 13-in. 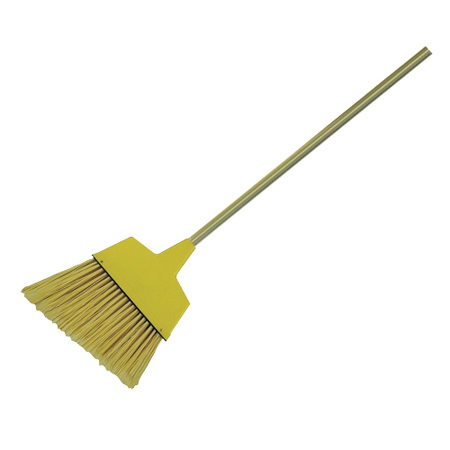 sweeping surface with sturdy flagged-tip plastic bristles. 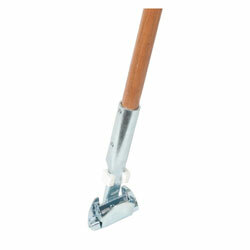 Angled cut for sweeping corners, edges and under counters. 42-in. long, 7/8-in. dia. handle. Shpg. wt. 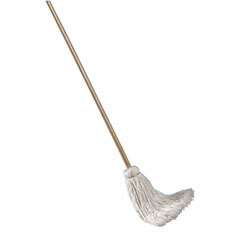 22-lbs.Lacquered wood handle with plastic angled shroud.